PechaKucha Night returned to Amman on Saturday 24th of November for a second round of presentations by a selection of Jordan’s creative community. 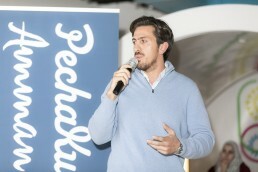 PechaKucha Night is an event that takes place around the world. Each night is brought into life by local organizers in their own cities. It is a modern take on storytelling and presentation; every speaker shows 20 images summarizing their ideas or projects, with 20 seconds per image. At first glance, you might find this format limiting, but by taking away the abundance of time, another layer is added to the presentations: they become condensed, straight to the point, and conversational. 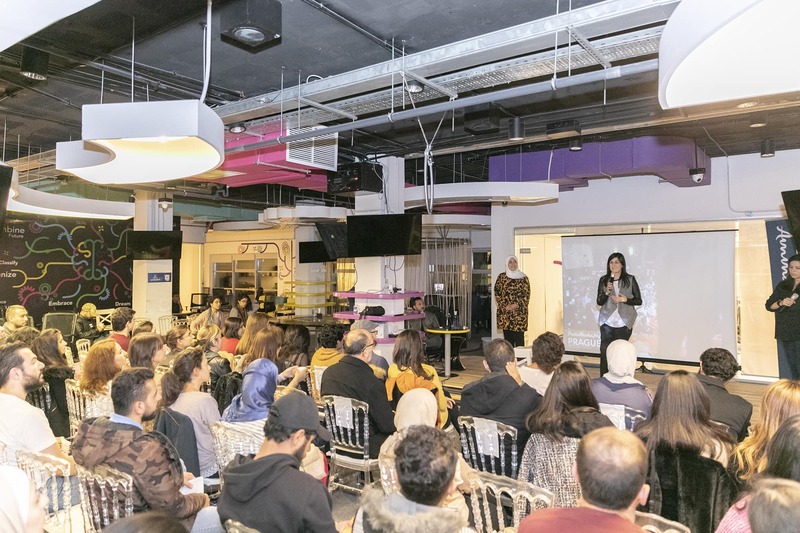 In the latest edition of Amman’s PechaKucha event, 10 speakers and one musician gathered at Zinc under the title Leaders of Change. Some of them are architects, such as Abeer Seikaly, Dina Haddadin and Rand Haj Hasan. Others lead community empowerment initiatives, like Basma Nazer (Khoyoot Thread) and Zaid Souqi (Orenda Tribe). 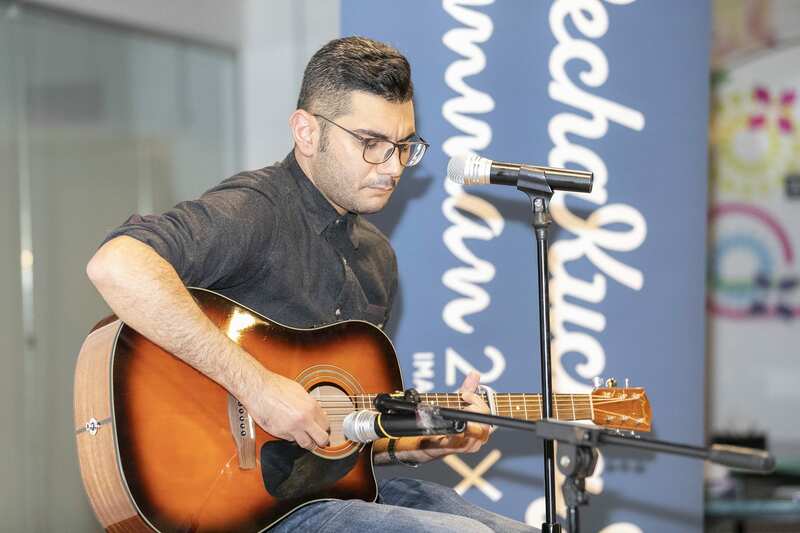 Others who took the stage include Linda Al Khoury, (Darat Al Tasweer), Mohammad Zakaria (7Hills Skatepark), Lina Adnani (Adam Wa MishMish), Bashar Humeid (Meezan and Yanboot), Muna Haddad (Baraka Destinations), and last but not least, musician Ahmad Farah. Whether it be in architecture, engineering, language or art, each speaker helped create change within their own communities and the communities that surround them. One such pioneer was Mohammad Zakaria, a photographer and skateboarder who co-founded the 7Hills Skatepark. Before this public skate park, Zakaria and other skaters lacked a space to practice their hobby. This issue, of course, expands beyond skateboarding; there is a dire need in the urban environment for public spaces. And so the park was conceived into reality: with collective effort involving local residents of the area, a space was created that is now not only used for skateboarding but also for community empowerment and community building exercises with refugee children from countries like Sudan, Yemen and Syria. 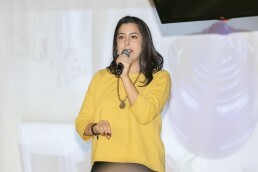 Another speaker was Lina Adnani, who created the musical animated series Adam Wa Mishmish in an endeavor to expose children (especially her nephew, Adam) to the Arabic language through well-produced content. The event was special because it offered a platform to several individuals to share their minds and their creativity. We spoke to one of the organizers, Rawan Qubrosi, who is an architect, environmental design analyst and researcher. 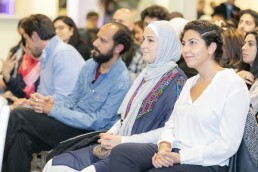 She was inspired to bring PechaKucha to Amman after attending two PechaKucha events in Tokyo, which is where the whole project began. Rawan, along with Heba Nazer and Nama’a Qudah -who are also architects- took over PechaKucha Amman events in 2018 and organized September’s event, followed by this one. The latest event brought not only a bigger audience but one that is also more diverse. 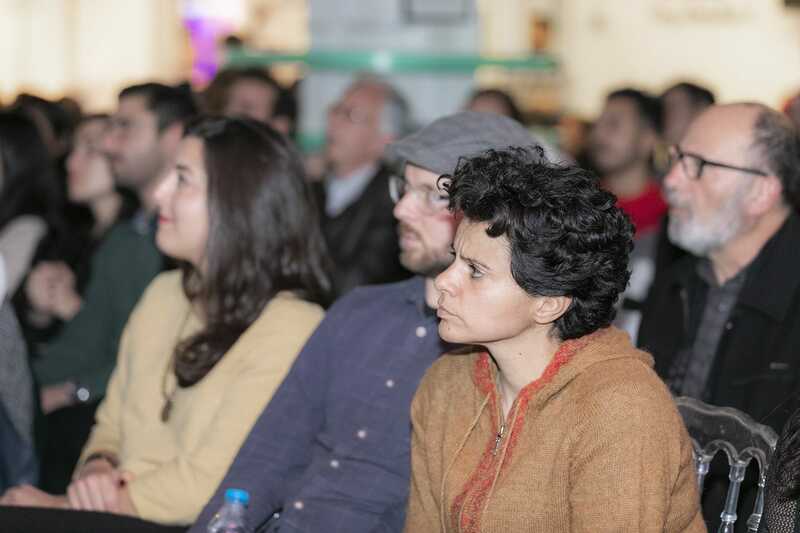 In the long run, the PechaKucha Amman organizers hope to expand to the governorates of Jordan, and to introduce this flexible method of presentation to a wider part of society so that anybody from any status or background can participate.